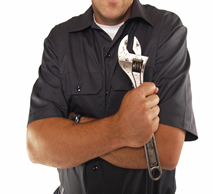 Your local specialist in Heating and Air Conditioning Repairs, Service and Maintenance. Servicing Melbourne Inner and North Western Suburbs for over 20 years. Brunswick, Port Melbourne, Ascot Vale, Essendon, Carlton, Greenvale, Moonee Ponds, North Melbourne, Williamstown, Pascoe Vale, Kensington and many other surrounding suburbs. to prolong the life of your heating and air conditioning system's operation. We deal with all reputable brands and models of residential, commercial, industrial heating and air conditioning equipment. heating, air conditioning and commercial refrigeration equipment. We have satisfied thousands of clients with our quick, friendly and efficient service. the need to make a phone call. Clients can see an accurate time frame and indicative prices prior to committing.